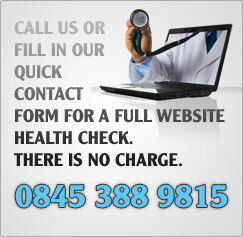 Only webdesign - website designers and developers in Blackpool and Glasgow. Award winning UK based design and development, helping you broaden the reach of your company or personal project; both online and offline. Only won a website design award from coolhomepages.com - one of the world's most widely recognised showcases of websites from all over the world. We were featured as one of coolhomepages.com's Sites of the Week - the biggest honour they can bestow on a website! Coolhomepages had this to say about Only; "This design studio's website from the U.K. shows off some professional and creative work in a visually welcoming environment." Thanks to all of the websites featuring Only. We strived to ensure our code and design was pleasing to users everywhere, and we were really glad to get the response we did! Coolhomepages - The guys at Coolhomepages awarded us with one of their coveted Site Of The Week awards. We are still available to view on their site under Past Sites of the week, and in their "Very Clean" section. Depthskins.net - The design blog Depthskins have listed us in their top 5 reasons why dark designs became a trend. 1080websites.com - a glowing 5 star review on the "website yellow pages"
Website Judge - Someone has been kind enough to submit us to Website Judge, where we're currently sweeping an average of 9/10 across the board. Screenalicious - We're currently notching up a 4 star review with this gorgeous website screening site. Most Inspired - What a nice name for a site to be featured on as a designer, thanks guys! CSS Drive - a decent rating on CSS Drive, the downside of our company is apparently that we are too inexpensive! CSS Catwalk - A couple of nice comments about our site from the users at CSS Catwalk. Always nice to get a "wow"! Delicious - Thanks to a few users we are now showing on the massive Delicious network. Click here to go straight to our contact page. You can send an enquiry for a no obligation quote. Got a question? Want to talk to someone about your query? Call us on 0845 388 9815. Click here to find out what we’ve been up to lately. Our full website packages start from as little as £129 for a one page website. The thing about only is that we tailor make our packages to suit your needs. Let us know what you need, your budget and your timescale, and we'll let you know what we can do for you. Want a site but you have your own domain? Want a redesign but without a site build? Just give us the word!